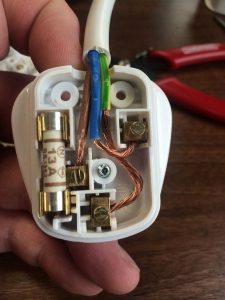 Are you a Coventry business with computers in your office and they’ve not been PAT tested since you bought them? Did you have someone PAT test your computer and damage it or even crash your server causing you downtime? 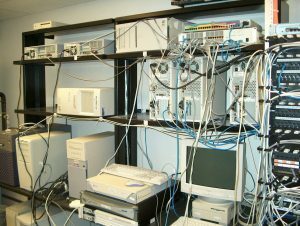 I come from an IT background and I know how vital a working file server can be to a small business – I have a PAT tester that can safely test computers and monitors. Are you unsure which cable goes where? I’m very sensitive to this sort of situation and can work accordingly. Did you realise that you may not need your computers or office equipment testing every year? I’m more than happy to do a site visit to recommend which items should be tested and how often – this can save you money from year to year. I provide a no-nonsense service, based on a fixed price. Having over 40 years experience in theatre as a technician and in IT as a system manager, I understand most IT equipment and what it is used for. This means your equipment won’t be failed because I don’t understand it! I also use a Seaward PAT tester and not just a multimeter with a couple of pieces of ratty cable! Systems such as file servers, mail servers, network switches/hubs and telecommunication equipment will not be inspected or tested without your express permission. If I’m not able to switch off these items they’ll receive a formal visual inspection only. Remember – your data is valuable, so you need to ensure that any critical information or data has been protected or backed up prior to the start of the testing. Although I have an IT background – I won’t shut down your equipment without your express permission. Neither will I undertake reboot or start-up procedures of IT equipment, this is your responsibility. Testing normally takes between 1 & 2 hours, depending on the complexity of the equipment and how many items need testing. I can test during the day or weekday evenings and if you need the testing done at weekends then we should be able to sort something out. My price of £3.50 per item with a minimum charge of £35 per site includes full reports and certificates in an electronic format. Don’t be fooled by those Google results you see that offer 75p per test – each item of equipment needs 4 tests so it really costs £3 per item and it doesn’t look so cheap now. VAT at 20% is excluded from these rates – I don’t charge VAT. If needed I can replace plugs and fuses using good quality parts (this is a chargeable extra). I reserve the right to charge extra if I have to wait unduly to test appliances or I need to dismantle racks to access equipment without being warned. I’m based in in Coventry so for postcodes CV1 to CV7 travel to these is free but I will work outside this area and am happy to quote separately for travel expenses. When's best to call you?